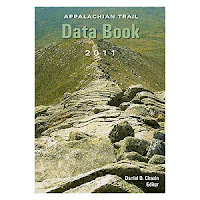 It’s the time of year when aspiring thru-hikers have descended en masse on the Appalachian Trail. How many will make it the entire way? 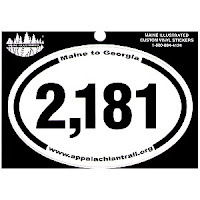 Based on statistics from the Appalachian Trail Conservancy (ATC), would-be thru-hikers heading northbound from the southern terminus in Georgia have a better than 90 percent chance of completing the first 30 miles, about a 50 percent chance of making it halfway to Harpers Ferry, and only a 25 to 30 percent chance of making it all the way to Katahdin in Maine. These are just some of the fun statistics kept by the ATC. You can browse all the stats here, which includes eight years of info on southbounders, flip-floppers, section hikers, and more. 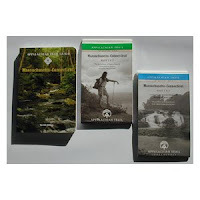 es between shelters, road crossings, and other significant landmarks in a slim pocket-size volume. The Thru-Hikers’ Companion ($14.95) is a succinct overview of the entire trail, including planning, highlights, and amenities along the way. 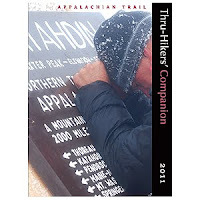 At 2,181 miles, the Appalachian Trail is now 1.9 miles longer than it used to be (see my January post for more info). Stay up to date with a new 2,181 Decal ($1.95). Finally, new for 2011, you can purchase a 3-D, raised relief map of the entire AT as seen from space ($49.95, more if framed). Seems like a very absorbing motivator, memento, or just a very cool thing to hang on your wall.